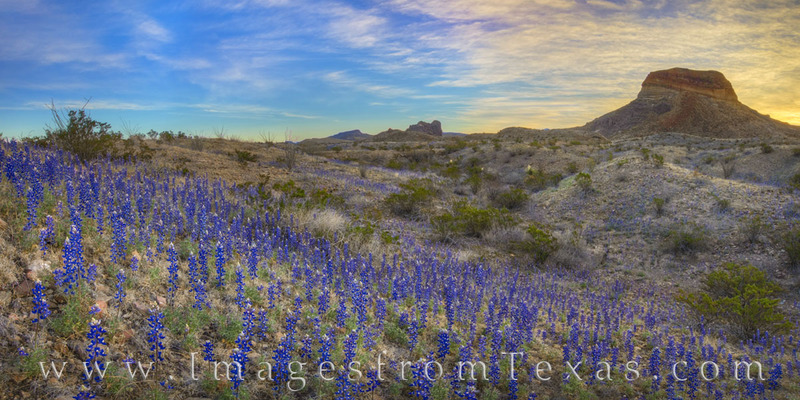 On a beautiful sunrise in Big Bend National Park, bluebonnets filled the Chihuahuan Desert in an unprecedented and colorful bloom. This panorama was taken at sunrise looking northeast at the well-known Cerro Castellan. Photo © copyright by Rob Greebon.